Synkronizer is the most powerful and user-friendly Microsoft Excel tool which compares, updates and merges Excel files. 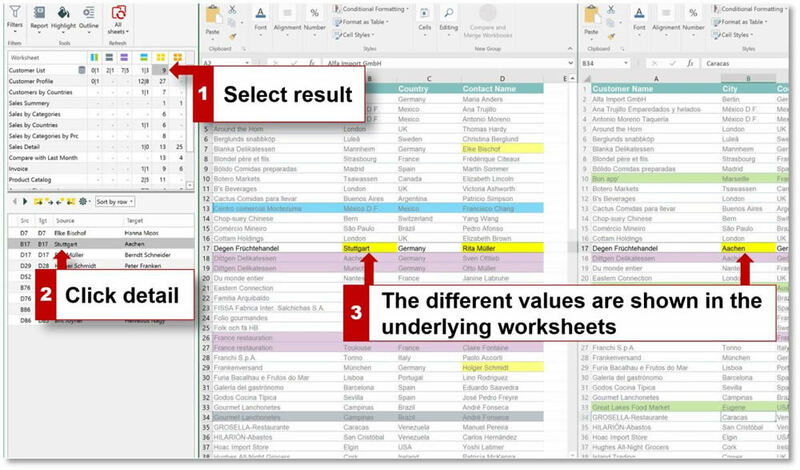 Synkronizer performs the Multiple functions Like 1. update Excel files, 2. highlight differences with Colors, 3. create difference report. Synkronizer recognizes cell differences, formulas and formats. Filter options are also enabled for returning the best results. Power users can use the Command line/VBA engine of Synkronizer and write powerful comparing scripts. Can manage up to 50 employees only.